HighFinesse Precision Current Sources have been developed for experiments and quantum technologies in the areas of cold-atom and solid state physics. The linearly regulated BCS (Bipolar Current Source) and UCS (Unipolar Current Source) series deliver highly stable, low noise source currents for high precision magnetic field control. The current output is either floating or on a used defined potential. Ultrafast response to control signals and trigger functions, clear grounding, connection and signal isolation schemes make the integration of the current sources into complex experimental systems easy. 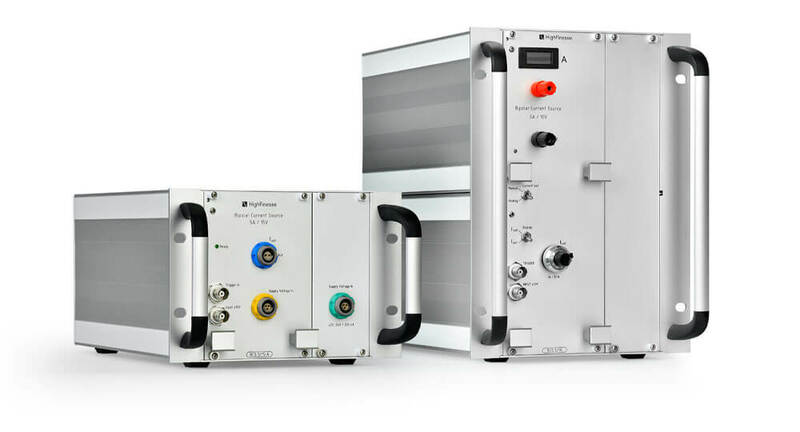 HighFinesse offers precision current sources ranging from 20 mA to 200 A. SMD based and Milliampere sources are available with integrated batteries and recharger unit. To fit customer needs HighFinesse produces current sources on individual specifications. Find more information about available upgrade options of precision current sources in the sections of each product series. Any Special Requirements for Your Current Source?